Where now for the Bremen Bündnis für die Verkehrswende? Last month’s packed Car Parking conference certainly generated significant media interest, with speaker Uta Bauer interviewed by the Weser Kurier, and Radio Bremen’s Buten un Binnen doing a major feature on the issue. (from 9min 34sec). You can read a full report of the conference here (google translated from German). 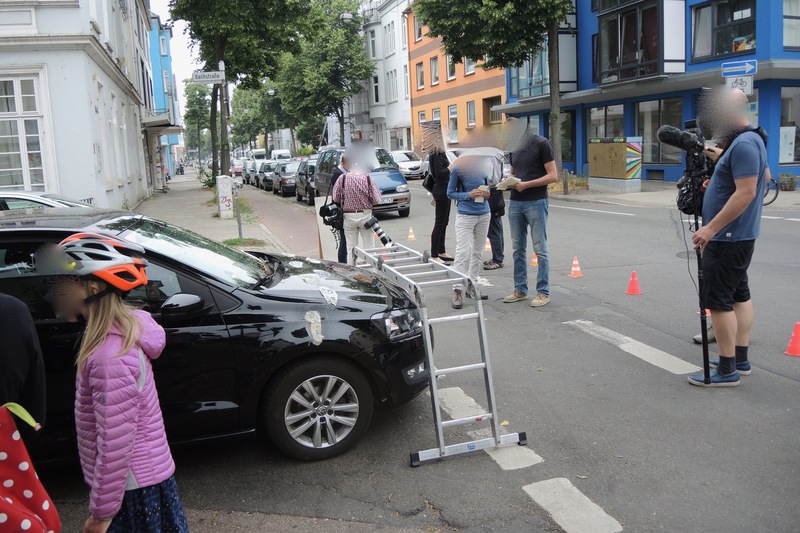 Members of the Bremen Transport Transition Forum were in action today, as part of the National Illegal Parking Week. 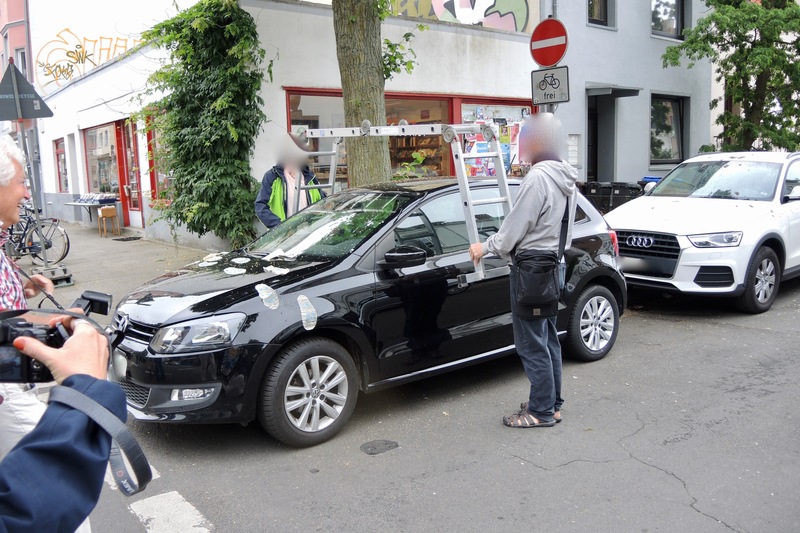 The aim of the action was to draw attention to the improper, dangerous and unlawful use of public space for parking. This letter is a protestation. We strongly object to the official practice of your government to allow illegal car parking on Bremen’s pavements. 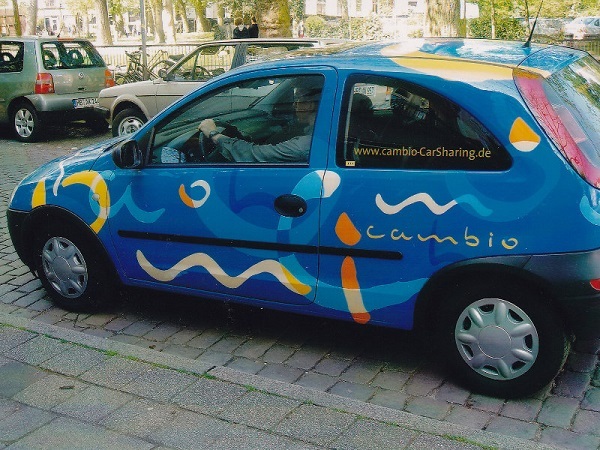 This kind of car parking categorically transgresses the law and Road Traffic Regulations [Straßenverkehrsordnung]. Pavements are a public space for pedestrians. Pavements are not a private space for car parking. The Bremer Senate has adopted the implementation plan of the UN’s Convention on the Rights of Persons with Disabilities (UN-CRPD), thereby binding Bremen’s government to its goals. Article 9 of the UN-CRPD commits the signatories to take appropriate measures to ensure to persons with disabilities access, on an equal basis with others, including the physical environment. 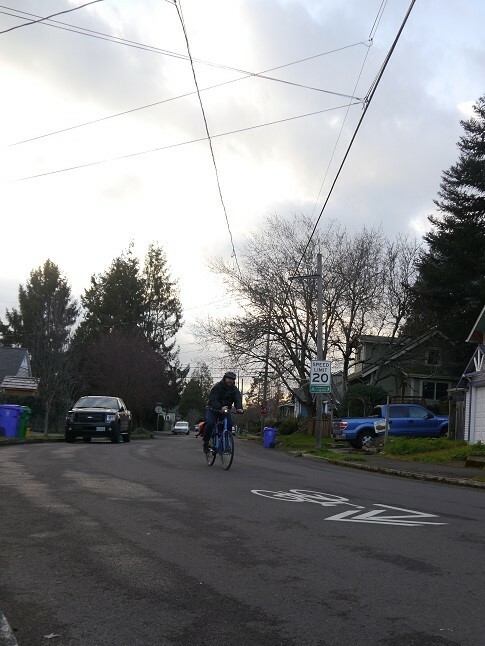 These measures include the identification and elimination of obstacles and barriers to accessibility. Equal access includes access to spaces of public life and transport systems. Personal mobility with a maximum of independence is supposed to be facilitated by the signatories (Article 20). 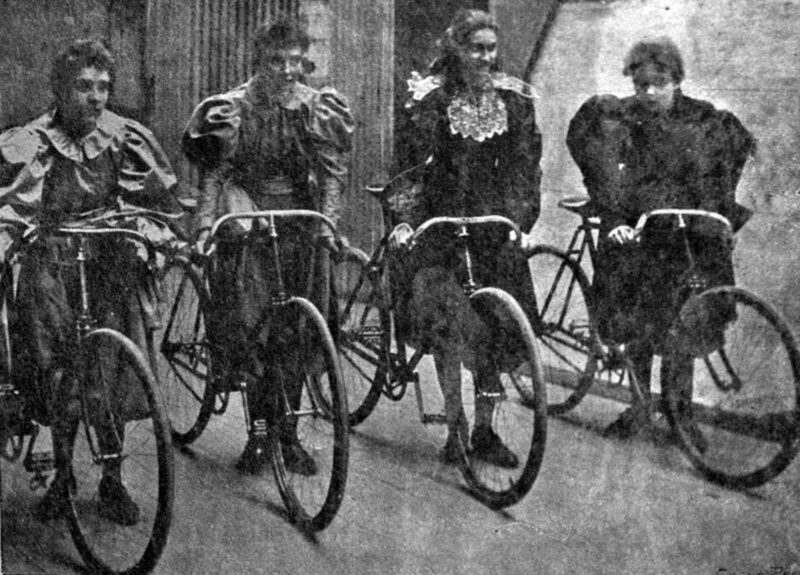 Enabling personal mobility is a prerequisite to participation in public life. These are the promises that the politicians and civic society organisations have signed up to and endorsed. 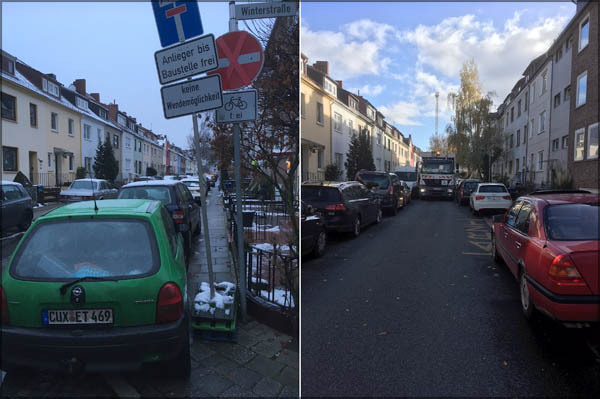 Why is it possible that Bremen’s government does not promptly act on these promises of mobility free from barriers? 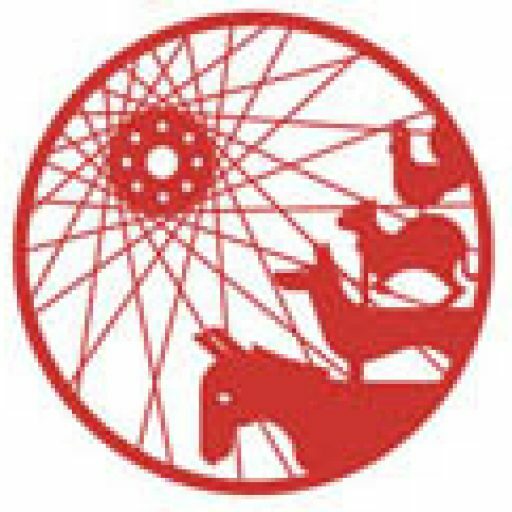 We demand that Bremen government officials implement the prevailing law and regulations. We have identified you, Senator Mäurer, in your authority as Senator for City Affairs, to have the responsibility to ensure the orderly implementation of the UN-CRPD by the council. This means that the government, with immediate effect, should cease the deplorable practice that allows illegal car parking on pavements including the 5-metre junction rule. We have noticed that the government have reinterpreted what they deem acceptable use of public space. Your government started to tolerate illegal car parking. This reinterpretation, however, does not take into account all users of public space. Your government’s reinterpretation is now restricting free movement on pavements. Yet, what is passing as acceptable use of pavements must be based on adopted policies of the government. Without appropriate signage, the parking of cars on pavements is illegal. A mobility free from barriers requires a minimum pavement width of two metres. For many years citizens have informed the government of these illegalities. And often these incidents have been severe. The media also has amplified these voices: the negative impact of illegal car parking on children and mobility-impaired people, the loss of personal independence, public freedoms and equal access. The apparent leniency by your officials towards illegal car parking further exacerbates the situation: citizens are given the impression that the parking up of public space is acceptable. The rigorous enforcement of illegal car parking has now become of paramount importance. The government should no longer tolerate dangerous and careless car parking. The government must equitably manage parking space and car parking. 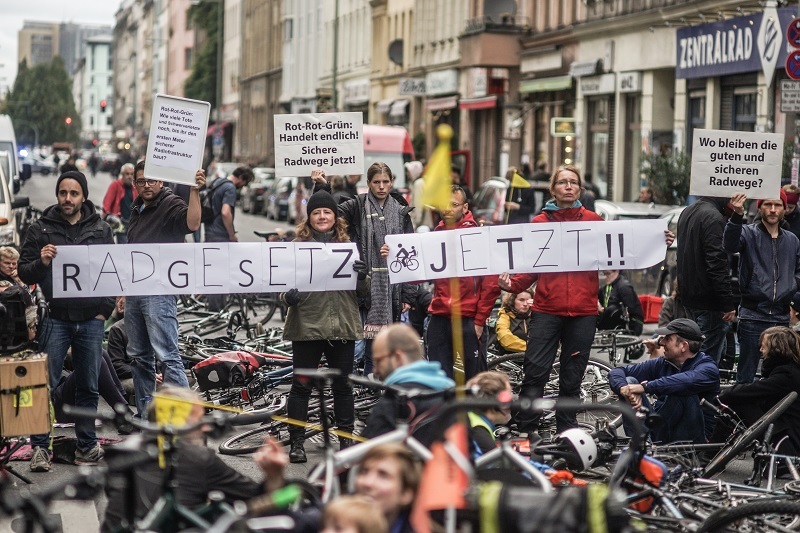 In doing so, this would benefit Bremen’s citizenry on the whole: emergency services, deliveries, cycling, children, older people and people with impaired mobility. 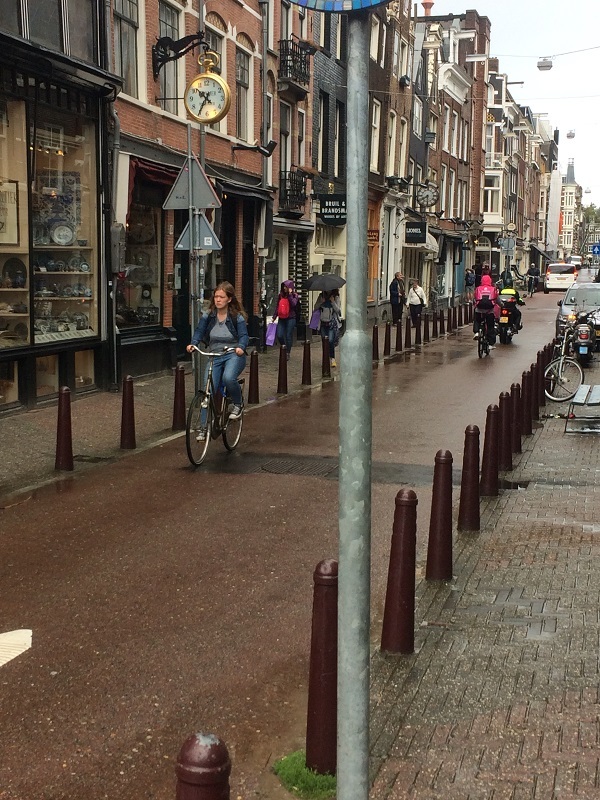 The use of physical measures alone, such as bollards to prevent car parking, are not sufficient, and sometimes counterproductive: even more public space is wasted and new obstacles are created. Furthermore, the gaps between bollards can too easily be re-interpreted as free space for parking. 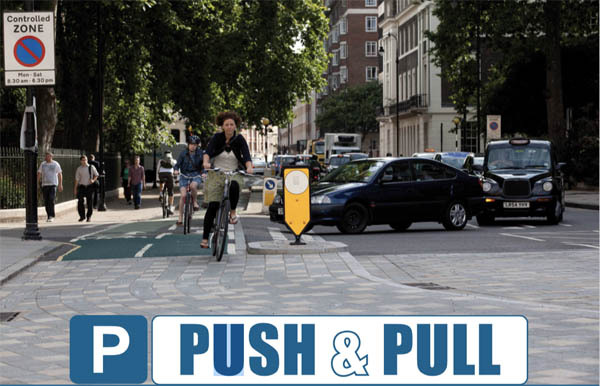 The solutions to the challenge of cars in public space must be holistic.In sum, we ask you – as respectfully as we do forcefully – to notify your officials. The Bremen government must now enact policy and law and accordingly implement the UN-CRPD with immediate effect.